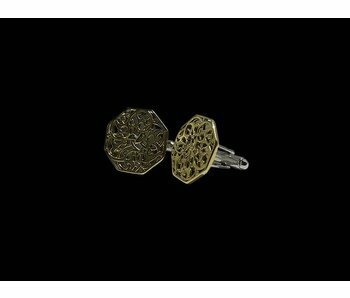 Arabesque motif earrings, silver with 3 microns gold, with a silver back to show two tones and relief. 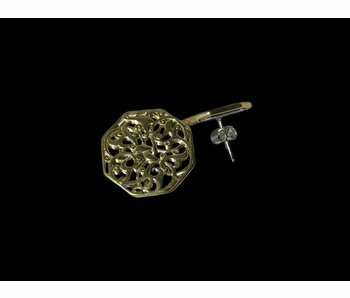 Cuff links with an arabesque floral patterns in silver gold plated with a silver backing in relief. 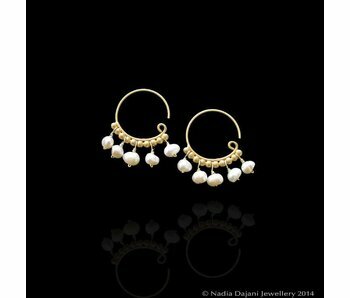 Roman replica hoop earrings with intricate gold beadwork and gemstones. 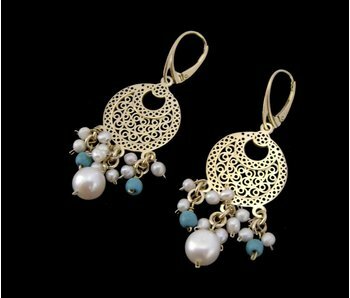 Crescent shaped earrings in silver gold plated with intricate arabesque detailing within, and a French hook, and with small and large turquoise gemstone bead dangles. 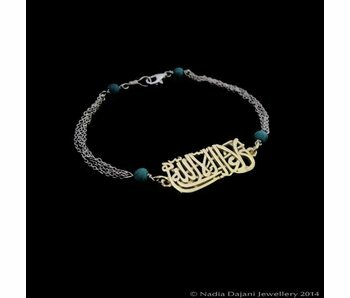 Bracelet with silver chains and gold plated calligraphy motif, with turquoise. Large silver hoop earrings with our Granada motif in gold plated, with a silver border. Long tie necklace with turquoise beads, disc shaped, with geometric motifs at the end. The motif is silver, gold plated, with a silver border. 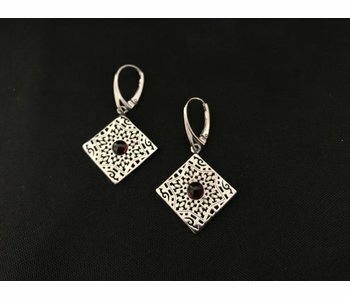 Silver earrings with an arabesque motif and a garnet cabochon centre. Garnet necklace with our Cordoba motif in silver gold plated. 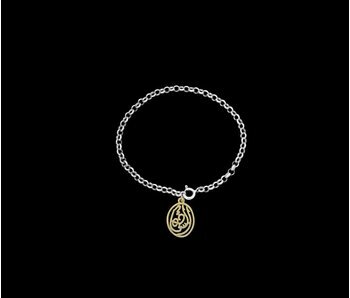 Silver chain necklace with a small Cordoba motif in silver gold plated. Silver ring with inscription in Arabic calligraphy. 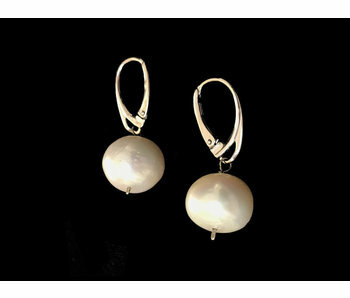 Silver French hook with large fresh water pearl drops. 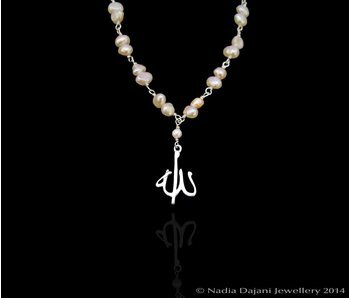 Long necklace with fresh water pearls linked with silver wire, with geometric motifs silver gold plated. 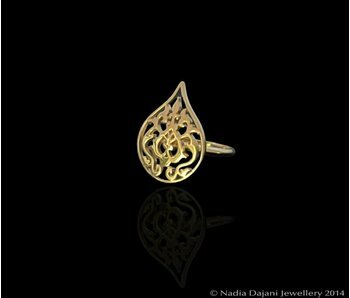 Traditional floral motif arabesque ring in silver and gold plated. Tumbled gemstone tie necklace with tassels in a variety of gemstones to include turquoise, and the words God loves and protects us in Arabic calligraphy. 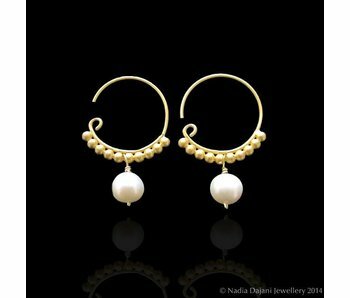 One of our signature earrings: a small silver gold plated arabesque earring, with a French hook top in silver. 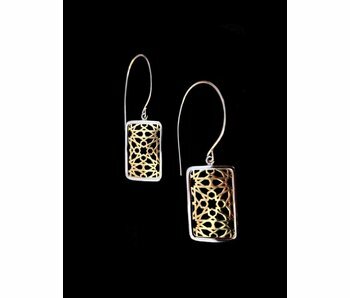 Large crescent shaped silver earrings with intricate arabesque detail. 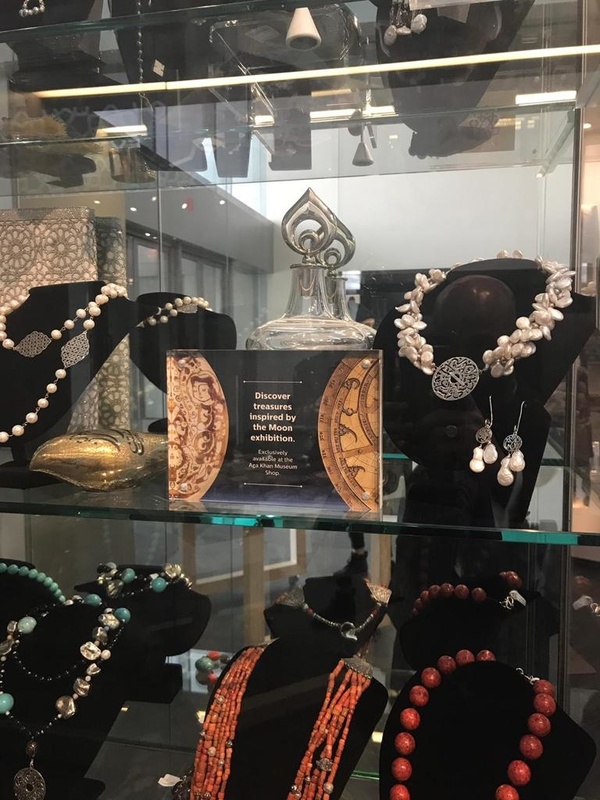 Inspired by Arab culture, our jewels incorporate the art of Arabic calligraphy with words of positivity acting as affirmations for spreading values of love and peace to the world.